Officers from the Metropolitan Police Service's Central e-Crime Unit (PCeU) have today, 1 September, arrested two men for conspiring to commit offences under the Computer Misuse Act 1990. 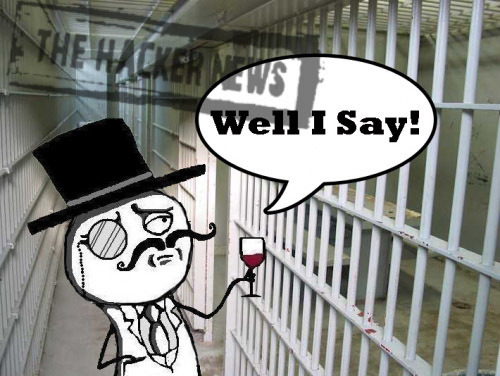 Two men, aged 20 and 24, have been arrested by British police in connection with Anonymous and LulzSec Members. The men were arrested separately at addresses in Mexborough, Doncaster, South Yorkshire and Warminster, Wiltshire. The Doncaster address was searched by police and computer equipment was removed for forensic examination. Kayla, alongside the likes of Sabu, Topiary and Tflow is considered to be one of the key figures in the LulzSec hacking gang. DI Mark Raymond from the PCeU said: "The arrests relate to our enquiries into a series of serious computer intrusions and online denial-of-service attacks recently suffered by a number of multi-national companies, public institutions and government and law enforcement agencies in Great Britain and the United States.We are working to detect and bring before the courts those responsible for these offences, to disrupt such groups, and to deter others thinking of participating in this type of criminal activity." Today Texas Police Chiefs Association Website hacked by Anonymous Hackers for Antisec Operation. Hacker deface their website and post 3GB of data on it. All this done for #FreeAnons Campaign.